With his position Prof. Ba enjoys privileged terms from the State Council and holds various key positions in the public and private sectors. These include: chief economist at the China Banking Association, deputy secretary of the China Institute of Macro-economics, member of the advisory committee on Economic and Trade policy (under the Ministry of Commerce of the People’s Republic of China), advisor to the examination board of the China Banking Regulatory Commission, member of the expert guidance committee of the China Banking Regulatory Commission (China banking industry to implement the new Basel capital accord), member of the M&A specialists committee of the China Securities Regulatory Commission, member of the economic development commission of the government of the Hong Kong’s Special Administrative Region. 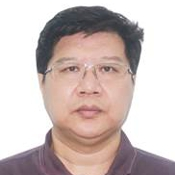 He obtained his bachelor and master’s degrees from Huazhong University of Science and Technology in 1987 and 1994, and then graduated from the Central University of Finance and Economics in 1999 with a Ph.D. and postdoctoral research at Peking University. He is going to be a visiting scholar at Columbia University at the end of 2013. He is very active on the network, having 7.2 million fans on his Sina microblogging account and 6.5 million fans on his Tencent microblogging account. 1992-1993: Service Militaire (served in the Army) at the Cabinet of the Chef d’État Major des Armées. + in charge of a daily editorial on Radio Classique (since 2009). The son of a diplomat, David Barroux grew up in France and in Asia, lived in Singapore and Tokyo, and had very frequent trips to China and India since the early 80s. Institute of Technology, where in 1999, he obtained an MSc. Included in his work experience are: 3 years in the Mergers & Acquisitions department of Merrill Lynch in London, a position within the Corporate Finance department of Société Générale in New York, 2 years of Management Consulting at Oliver Wyman in France, and 9 years as the CEO of GYS, an industrial group, headquartered in France. With 500 employees in five countries (France, UK, Germany, India & China), GYS engineers and manufactures welding equipment, automotive battery chargers, and automotive collision repair equipment. The group is positioned as one of the world’s technological leaders in its fields. Aside from his professional endeavors, Bruno is a member of the YPO network and sits on the board of the UIMM (Union of Metallurgies Industries) Mayenne. Bruno is married to Heyoung Lee Bouygues, a talented business woman who has created Lee Bouygues Partners, a consulting company dedicated to helping companies in operational difficulties. Cai Jin, born in 1981, is the Chief Representative for France at CEFC (China Energy Company Limited). She used to be the deputy general manager of Poly Technologies of Poly Group China, where she was in charge of international projects’ cooperation and corporate strategies. Cai Jin has been engaged in the forthcoming development of general aviation in China, as well as with the emerging business of luxury products. She has led many projects, such as joint-venture creations, notably while working for China South Industries Group. She is also a former partner and current consultant at various law firms. Her degrees consist of: a PhD in Economics from the Chinese Academy of Social Sciences, an MBA from the Conservatoire National des Arts et Métiers, a Master of Laws from Renmin University in China, and a Bachelor of Economics from Xiamen University. Economics, and the History of Economics. Among her publications are two books translated from French to English and several papers in academic journals. Cao Jianzhang graduated from Shijiazhuang Army Command College, known as the West Point of Chinese military academies, completing a four year undergraduate degree with standard courses, military theory, and military training. In 1997 he was assigned to the Beijing military region logistics department where he served as military and cultural instructor. There he trained more than 1300 kinds of military cadres at all levels for the logistics unit. In 1998 he was selected into the logistics department headquarters and was given political authority to serve as a battalion cadre. Here he has been involved in writing the military training program for the logistics department and the military operational plans in division and regiment level planning. In 2003 he was transferred out of the army to a data center (Beijing) of the Industrial and Commercial Bank of China. Cao Jianzhang is married to Zhang Li, a talented woman who graduated from Ocean University of China with a major in International Trade. She now serves the China Association for International Friendly Contact. Her hobby is writing, and has written six novels, a total of 3 million words. She was rated as one of the top ten women writers by Chinese online in 2011. Chen Yun obtained a master’s degree from the renowned Sichuan Fine Arts Institute in 2008 and since then has been living and working in Beijing. Focusing on contemporary oil painting and Liuli art works, her studios are within several Beijing art bases, such as Yihandi, Songzhuang and 798 art zone. Chen has been invited by first-class academic art exhibitions and art expos at home and abroad since 1999. Through the 40-odd exhibitions and expos over the years, many of her works are collected by well-known art galleries and institutions, including the Shenzhen Art Museum, Shanghai Zhangjiang Art Museum, Chengdu Blueroof Art Gallery, Hubei Museum of Art, Songzhuang Art Center, and Times Art Museum. Additionally, she cooperates with art and fashion media to create intra-art works. In 2010, Ball State University in the U.S. invited her as a visiting scholar to share her expertise on glass art. In December 2010, she was invited by the Spoletto cultural bureau, the E.U. organization of the Italian branch, and the Cultural dept. of the Chinese embassy in Italy to participate in the art and culture activity during the China-Italy Culture Exchange Year. The “Percorso” Chinese Contemporary Art Exhibition, which was held in an old city art gallery, was a great success in spoletto, Italy. Adrian is a Cardiologist specializing in coronary and structural heart interventions. He spent his formative years in England, studying at Oxford and at Cambridge University. Since 2009, he has been working at the Prince of Wales Hospital in Hong Kong. Currently in Paris, he is spending a year at Hôpital Bichat Claude-Bernard, learning the newest techniques from French experts and forming links between the cardiologists of China and France. France has always held a special place in Adrian’s life. Adrian’s father, John Cheong, is a trade historian and spent many years studying as a Queen’s Scholar at the Sorbonne and in Lyon. During Adrian’s childhood, his evenings were filled with tales from his father’s travels in France. Adrian had an early introduction to the world of French wines through his father, and many a high table at Cambridge cemented his love for them. After meeting his wife Elaine, Adrian became involved with managing the vineyard that his pioneering father in-law, Peter Kwok, had bought in 1997 – Château Haut-Brisson, Saint-Emilion Grand Cru. He has thus been an apprentice to two great art forms that the French people have innovated and perfected – minimally invasive cardiac surgery and wine-making. Magda Danysz is a Paris, Shanghai and London based gallery owner. She first started in 1991 in Paris and is located in a three floor space in the Marais. In Shanghai, the gallery – which opened in 2009 – offers a 400 m² ground floor space exceptionally located in the Bund area and offering a great exhibition space to the artists. Since 2014, the gallery is also present in London. Magda Danysz presents both emerging and established international artists, including discoveries from the Chinese art scene (such as Maleonn, Liu Bolin or Zhang Dali). She has built a platform for exchanges between the Chinese and the international art scenes. Among many other projects, she brought to Shanghai “The Wrinkles of the City” project by JR in 2010, on the occasion of the Shanghai Biennale, where she was appointed member of the head committee, and later on in 2014 his “Inside Out” project. Magda Danysz has also been teaching cultural policies at Sciences Po Paris. She is on the board of the cultural digital art center Le Cube in Issy-les-Moulineaux. In 2006, she was decorated by the French Ministry of Culture as a Chevalier des Arts et des Lettres. She has also published various books such as the “Anthology of Street Art” (Gallimard), “Les Bains Résidence d’artistes” (Drago) and the monography of New York based artist Futura a.k.a. Lenny Mc Gurr. Matthias Fekl is State Secretary in charge of Foreign Trade, Promotion of Tourism and French Citizens Abroad since September 2014. He also serves as Socialist Deputy for Lot-et-Garonne (Second division) since 2012, and Regional Councilor for Aquitaine since 2010. In the National Assembly, he is a member of the Committee on Constitutional Laws, Legislation and General Administration of France. He works particularly on issues related to the modernization of the State and the transparency of public life. A Socialist Party member since 2001, Matthias was the first federal secretary of the Socialist Party of Lot-et-Garonne from November 2012 to September 2014. From 2010 to 2011 he was Director of the office of Jean-Pierre Bel, president of the socialist group at the Senate, and then became his special adviser when Jean-Pierre Bel became Chairman of the Senate. Matthias Fekl was born in Germany in 1977. He is a graduate of Sciences-Po, and also an alumnus of Ecole normale supérieure (ENS) and École nationale d’administration (ENA). He has published several books, including “In 2027, Two Young Elected Confront Their Vision of France” (2027, Deux jeunes élus confrontent leur vision de la France), and “Public Law” (Droit public). Gao Fei, 29, is a native to the Sichuan province. He graduated from Nankai University, majored in comparative political economy and now works for the Qianjiang District Development and Reform Commission in Chongqing. Before working at Nankai University in Tianjin, Gaofei paid more attention to the relations between state and society, governments and markets. He chose India as a case study in his doctoral dissertation titled, “State’s Domestic Security and Economic Growth in Late Industrialization: the Politics of Economic Growth in India”. After graduating from Nankai University, he was recruited into the Qianjiang District Development and Reform Commission to: formulate and implement strategies of regional economic and social development, develop annual plans including medium and long-term development plans, to carry out research and analysis on domestic and international economic situations, and to put forward targets and policies concerning the development of the regional economy of Qianjiang. Yannig Gourmelon has just returned from China where he has lived 4 years fulfilling his dream to be immerged in the Chinese culture and economy. He recently joined Fred&Farid Group as COO, a leading French creative and digital advertising agency based in Paris and Shanghai, after having completed 10 years at Roland Berger Strategy consultants as a partner in France and China, for whom he is now Senior Advisor. At Fred & Farid, Yannig is in charge of all the support functions and operations serving the business lines of the group worldwide (Paris, Shanghai, New York). He is leading all the large cross continent projects of the group and will also soon take in charge one of the business lines. Yannig is 40 years old and has graduated from the Institut d’Etudes Politiques de Paris, the London School of Economics (MSc) & École HEC. Jérôme Guedj is a renowned specialist of social and public health policies. He is currently a departmental Advisor of Essonne. Jerome Guedj joined the Socialist Party in 1993. In the French parliamentary elections of 1997, he was appointed substitute of the Socialist candidate in the sixth constituency of Essonne. During the French cantonal elections of 1998, he was a candidate in the canton of Massy-Est. During the 2011 French cantonal elections, he was re-elected in the canton of Massy-Est. In 2012, Jérôme superseded François Lamy (appointed Minister for Urban Affairs) as a member of the Parliament. Jérôme Guedj is highly involved in Franco-Chinese relationships. During his term at the National Assembly, he was Secretary of the France-China Friendship group and was very active in promoting French-Chinese cooperation and mutual understanding. In Essonne, he built strong partnerships with the city of Wuhan, where he frequently travels for economic and cultural cooperations. In 2012, Jérôme Guedj inaugurated an exhibition devoted to French photographer Jules Itier, the first western reporter to take pictures of the Chinese society in 1844. Notably, the Essonne County Council is the first French local authority to have opened a bureau for economic cooperation in the city of Wuhan. Jérôme Guedj is an alumnus of École nationale d’administration (ENA) and a graduate from the Institut d’études Politiques de Paris. Born in Tel-Aviv in 1981, the exceptional jazz pianist and composer Yaron Herman, has developed a dazzling musical career in the past 10 years. At 19 years old he moves to Paris. Immediately noticed by the Parisian jazz scene he receives the New Talent Award by the famous Jazz Club Sunside. Since 2001 Yaron is confirmed as a unique talent with a series of successful albums, awards, hundreds of concerts worldwide and extensive media coverage. RECORDS: “Real Time Composition”, “A time for Everything”, “Muse”, “Follow the White Rabbit”, “Alter Ego”. First jazz pianist to play in the Forbidden City, Yaron Herman has already completed 4 world tours in solo and in trio, playing at the most prestigious festivals and in the most famous theaters. Yaron has developed a musical theory on improvisation that he first presented at la Sorbonne in Paris. More recently, his unique approach to composition has been showcased on TEDxEPFL, the renowned Swiss Federal Institutes of Technology, TEDxCern and on TED GLOBAL in Edinburgh. Yaron is currently working on a book in the same context, which is dedicated to creativity and innovation. Yaron is also engaged in other musical projects, particularly music of movies and advertisements. He is the composer of the musical signature for the French mobile phone campaign FREE. Since 2011, Sébastien Hua works as Head of Project Office (Chargé de mission) to François-Henri Pinault, Chairman and CEO of Kering. Since 2015 he is also the Digital Business & Client Engagement Director. As of 2009, Sébastien Hua has held the position of Project Leader at the Paris office of The Boston Consulting Group (BCG). Before this, he held various offices at the French Ministry of Foreign Affairs, beginning at the Economic Affairs Department between 2004 and 2007, and then following at the French Permanent Mission to the United Nations in New York from 2007 to 2009. Sébastien is an alumnus of École nationale d’administration (ENA) and a graduate from the Institut d’études Politiques de Paris. Born in 1972, Hua Xiaojun is a lawyer with almost 20 years of experience in cross-border commercial law practices, focusing on M&A, finance and infrastructure. 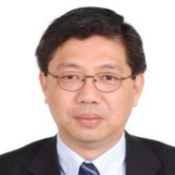 He is a partner at the renowned Law Offices of Jun He, heading the firm’s outbound investment practices. Included in his professional career prior to Jun are: five years of litigation and commercial practice with local law firms in Beijing and in the Jiangsu Province, nearly two years of commercial practice with the offices of Masons Hong Kong and Guangzhou, and finally 10 years of commercial practice with the office of Gide Lovrette Nouel in Beijing. 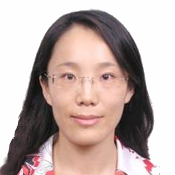 As of January 2008, Hua Xiaojun is a worldwide partner of Gide Lovrette Nouel and has since then co-headed their Beijing office. Hua is the co-author of the Aspatore publication Best Practices for Bankruptcy Law in China (2008) and has a considerable number of articles published by Professional magazines. In addition, he is a regular speaker at the conferences and seminars of Euromoney, IHC, and the European Chamber of Commerce, speaking on subjects of M&A, foreign exchange, and anti-trust. JIN Na was the Silver Bear Best Scriptwriter Winner at the 60th Berlin International Film Festival and Shanghai Artist Award Winner by the Shanghai Government. She is also Deputy General Secretary of the Shanghai Film Critics Association, Board Member of the Shanghai Film Artist Association, and Vice-chairman of the Scriptwriter Board and Beijing Film Artist Association. JIN Na is a prolific scriptwriter and writer. She has also worked as a journalist, editor-in-chief, art project advisor, and movie executive director. Founder and CEO of CNHK MEDIA CHINA since 2011, she invested and produced particularly the TV series “Felicity with You”, which was presented by CCTV1 and rated TOP1 Audience. In 2013, she founded Beijing R&C Entertainment and co-produced “Rachet&Clank” with SONY Computer. Born in Shanghai in 1975, she graduated from East China University in 1998 and Shanghai Jiao Tong University in 2005. Chantal Jouanno was born on the 12th of July 1969 in Vernon, Eure in France. She graduated from Sciences Po Paris in 1994. After two years of study at the National School of Administration (Cyrano de Bergerac session), in 1999 she became a civil servant at the Ministry of the Interior. In 2008 she was appointed President of the French Environment and Energy Management Agency (ADEME). From January 2009 to November 2010, she was appointed Secretary of State for Ecology in the second French Government of François Fillon. Before taking office as Senator on the 1st of October 2011, she was the Minister of Sports in the third government of François Fillon from November 2010 to September 2011. In October of 2012, she left the UMP party and joined as Vice President the UDI party, led by Jean-Louis Borloo. From 2010 to 2017, she was regional councilor of Ile-de-France. Now she is president of the National Commission of Public Debate. Chantal Jouanno is a former karate champion, a twelve-time French champion in her category. In 2010, her team won a karate championship. In 1985, Li had his first job as a journalist after graduation. In 1990, he started his own business in finance, real estate and trading. In 1999, he set up his own company — SOUTHWEST SECURITIES. His company’s trading volume of Stock A was the best among all the national companies in both 1999 and 2000. In 2003, he started another company — Bohwa Ziguang Real Estate Co., Ltd. The CATHAY VIEW Villa is one of the housing projects developed by the company. The Villa is currently the biggest Chinese style Villa in China and has received the National Innovating Building Award in 2006. The housing company then invested in CATHAY VIEW INVESTMENT HOLDING CO. LTD., which focuses on developing the traditional Chinese culture and on utilizing historic materials. This company also invests in culture, estates, finance and farming. In 2011, Li went to Peking University majoring in Philosophy for his advanced studies. He was also then the chairman of the Office of Continuing Education, Peking University 21 term at that time. Li loves traditional Chinese culture, history, literature, philosophy and architecture. He likes collecting Chinese rosewood furniture and crafts. Additionally, swimming, playing golf and hiking are also the interests of Li. Emmanuel MACRON is the eighth President of the Fifth Republic of France. He launched the movement « En Marche ! », founded on April, 6 2016, and was its leader until his victory in the presidential election on May, 7 2017. Emmanuel MACRON was born in December 1977 in Amiens, in the Somme department. He studied philosophy, and later attended the Ecole Nationale d’Administration (ENA) where he graduated in 2004. 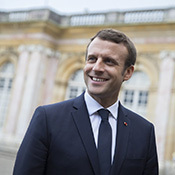 Emmanuel MACRON then joined the Inspectorate General of Finance where he worked for four years before entering the banking sector. In 2012, he became Deputy General Secretary of the Presidency of the Republic. He left office in July 2014 and served as the Minister for Economy, Industry and Digital Affairs from August 2014 to August 2016. Edouard Philippe has been appointed Prime Minister of France on 15 May 2017. He served as Mayor of Le Havre from October 2010 to May 2017 and was a member of French Parliament since 2012. He was spokesperson for Alain Juppé, candidate in the 2017 presidential election. He served as Judge on the French Administrative Supreme Court from 1997 to 2002, and then became Managing Director of the newly founded majority governing party UMP. From 2004 to 2007, he was part of the Debevoise & Plimpton LLP office in Paris as International Counsel, and in 2007 was appointed Head of Public Affairs of the AREVA Group. Edouard Philippe has a degree from Sciences Po Paris and from the Ecole Nationale d’Administration (ENA). He published two crime novels in 2007 and 2010. As a French Business School student in the mid-90s, Joachim Poylo and a group of friends, shared a passion for South-East Asia. He developed ‘Asia Extreme,’ an association that promoted student internships in Vietnam, Laos, and Cambodia. He eventually settled in Shanghai for 2 years, with the goal of opening the China market for the food service leader Sodexo, who was not yet present. Recognizing the need for full Facility Management services within emerging markets in Asia, Joachim created ADEN Services in Vietnam in 1997 and two years later, registered the company in China. Today, this son of a ship owner from Le Havre, France, heads a business with 18,000 employees and operates in 15 countries, a group with over 750 clients that grossed 150 M USD in revenue last year. Eighty percent of the group’s activity is in China, where ADEN Services specializes in four main lines of business: Facility Management Maintenance, Security, Cleaning, and Foodservice for international and Chinese companies. Outside China, the company mission is to accompany its clients in hostile regions and provide camp management services with the focus of bringing global solutions to the Mining, Construction and Oil & Gas industries. The group’s headquarters are located in Shanghai, China. 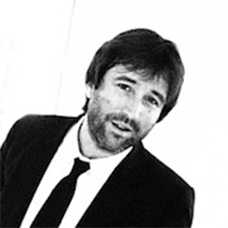 After he studied design, Frederic Raillard started his career as a Strategic Planer at Euro RSCG (Havas Worldwide). Then, He met Farid Mokart and they decided to work together as a team (1994-96). Fred & Farid worked in six agencies in France and became the youngest Creative Directors in France.Then, they worked for BBH London, Goodby, Silverstein & Partners USA. Back in Paris they launched Marcel for Publicis. In 2007 they set up their own independent company, making the largest growth in France in the last 5 years (turnover of 44 million € in 2011). Fred & Farid have worked for over 100 brands as prestigious as VanCleef & Arpels, Yves Saint-Laurent, Giogio Armani, Mont-Blanc, Wrangler, Martini, Orangina… and have won more than 200 international awards, including D&AD Pencils and Gold Lions at Cannes. They won the Brit Awards and an MTV Award for Robbie Williams’ “Rock DJ” music video. In 2012, Fred & Farid Group launched a new digital agency in Shanghai. 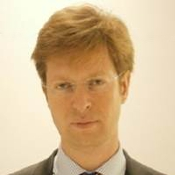 Benoît Ribadeau-Dumas has been appointed Principal Private Secretary to the new Prime Minister of France, Edouard Philippe, in May 2017. Since 2015, has was the Managing Director of Zodiac Aerosystems (Zodiac Aerospace group). Previously, he was the Senior Executive Vice President of CGG, a company providing geological, geophysical and reservoir capabilities mostly to the oil and gas industries. He was in charge of all Data Acquisition business lines, Airborne, Land and Marine. Benoît began his career as a civil servant in the French public administration, where he performed a variety of different roles, including two and half years (2002 / 2004) as a member of the French Prime Minister’s private staff. In 2004, he joined Thales, a Defense and Aerospace company, as corporate development director, in charge of group strategy, mergers & acquisitions and shareholder relations. He was then appointed as the head of two operational business lines, first as Managing Director of Air Traffic Management Systems in 2007 and, from 2009, as CEO of Thales Underwater Systems. Benoît is a graduate of the Ecole Polytechnique and ENA (Ecole nationale d’administration) in France. Raphael is Director of Research & Technologies and Member of the Executive Committee of Engie. Previously, he was President of GDF SUEZ China. Raphael also worked for the French government : between 2004 and 2007, he was the diplomatic advisor to the French Minister in charge of Energy, Telecommunications, and Industry (covering all international and European affairs in the private office)… Prior, he worked as a detached national expert at the European Commission’s Competition General Directorate and was Head of the State Economic Development Department of France’s Northern Region (similar to local NDRC). Raphaël has held various jobs in the private sector, working for: French textile and water, Chinese telecommunications, the power sector’s of the United States and Thailand, and the Mexican gas sector. Raphaël holds a Master Degree in Business Administration (member of the “French Corps des Mines”) and a Civil Engineering Degree from the Paris National Mining University (“Ecole Nationale des Mines de Paris”). Raphaël was recently elected Chair of the Energy Group of the European Trade Chamber in China. Born in a small village in rural Shanghai and educated as a Laser Physicist at Fudan University, Haisong first started his career in 1989 as a local tour guide. At the end of 1990, he landed in the USA to pursue his American dream. After surviving his ﬁrst few years working as a dish washer, shoe salesman and insurance marketer, Haisong joined McKinsey as its ﬁrst Mainland trained consultant. He helped set up McKinsey’s ﬁrst Chinese oﬃce in 1993. After that in 1998, Haisong completed a two year MBA program at Harvard. Upon graduation, Haisong worked as assistant to the Ermengildo Zegna family, developing an entry strategy to China and establishing the Zegna Sports line in the US. At the end of 1999, Haisong founded etang.com, a youth portal and community site in Mainland China targeting “the yellow generation”. In 2007, Haisong started to focus on investment in both technology and education areas. As for education, Haisong was responsible for Dulwich College China. Subsequently he helped transform Elite, the global leader of SAT prep, into a Society of Future Leaders focusing develop problem solving, communication, and character building for teenagers. Currently he is responsible for Technology Reserve, a global platform that allows small-medium size companies secure technology from global companies such as IBM and P&G. Haisong is a voracious reader. As an adjunct professor, he will teach at Fudan Business School in 2013. Edouard Tétreau is a French essayist and a trusted advisor to a number of European industrial families, financial institutions, and CEOs of European Fortune 500 companies. Aside from these endeavors, Edouard teaches the management of corporations in financial crises at HEC, the leading European business school. He also writes a weekly column in the leading French business newspaper Les Echos. In the United States, Edouard currently acts as a trustee of the Washington DC based think tank CED, Committee for Economic Development, whose founders played a central role in drafting the Marshall Plan in the 1940s. He is also a member of the Advisory Board of La Maison Française at Columbia University. A 1992 HEC graduate, with a major in entrepreneurship, Edouard was educated at the Paris Jesuit school Saint Louis de Gonzague. Mathieu Verillaud is CFO of AXA Partners at AXA since August 2017. He was a finance business partner for the Hong Kong and Mainland China life insurance businesses at AXA’s Asia regional office in Hong Kong. He has previously worked at the AXA head office, focusing on oversight of the US and Asset Management subsidiaries. For two years, he was also the Chief Financial Officer of a start-up business spanning several European countries. He started his career at the French Insurance Supervisory Authority, where he was involved in company audits as well as with international and European working groups on the Solvency 2 directive and international financial reporting standards. A graduate of the École Polytechnique in Paris and Columbia University’s School of International and Public Affairs in New York, for the past five years he has also taught courses on insurance at Sciences Po (IEP Paris). Ninie has been committed to bettering the lives of the senior citizens of her home country, China, for much of her career. She is Deputy Director of the Community Home for Long-term Care, Research & Training Base of the Gerontological Society in China. She is also a member of both the China Social Welfare Service Standard Committee and the Presidium for National Union of Long-term Care. In 2011, she was elected as Standing Director of the China Association for Life Care. In 2004 Ninie founded Pinetree (www.pinetreecare.com), China’s first and fastest growing professional home healthcare services provider for the aging population. Her previous experience includes heading the Asia Pacific Headquarters of the ECDL Foundation (www.ecdl.org) as Deputy CEO and setting up the ICDL computer literacy certification program in China, aiming at narrowing the digital divide. Pinetree was the first venture in mainland China to provide professional restorative home care services to the aging population. 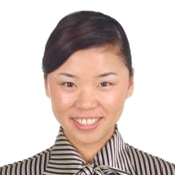 Ninie has a BA in Economics from UIBE, China, and an MBA from INSEAD in France and Singapore. Wang Qing is 35 years old. She graduated from Beijing Foreign Studies University in 2000 and attended l’Ecole nationale d’administration (ENA) from 2007 to 2008. She joined the Chinese Ministry of Foreign Affairs in 2000. She was staff member at the Department of African Affairs from 2000 to 2002, responsible for the bilateral relations between China and Madagascar. After a post at the Chinese Embassy in the Republic of Madagascar from 2002 to 2004, she joined the Division of France, Belgium, the Netherlands and Luxembourg at the Department of European Affairs, first as Third Secretary and later as Deputy Director, First Secretary, specially in charge of Sino-French bilateral relations. She has been involved in all the high level visits and important cooperation projects between China and France from 2005 to present. After receiving an M.A. degree, Wang Wen worked at the Global Times, serving as a correspondent, news editor, history editor, senior op-eds editor, editorial writer, leader of op-eds pages, and an editorial board member (in charge of op-eds). After departing from the media, Wang Wen has, since the beginning of 2013, been the Executive Dean of the Chongyang Institute for Financial Studies at Renmin University of China. He is the youngest dean in the University as well as within the top universities in China. Wang Wen was the winner of the China New Awards in 2011. As a leader on public opinion, Wang Wen has written hundreds of columns, knows national policies and social conditions very well, and always has the opportunity to exchange views with top officials, leading scholars, and analysts, etc. His latest book is Phantom of Powers and he once translated, edited, collaborated on eleven books, including Theories of World Governance — A Study in the History of Ideas, International Relations in Political Thoughts, A Truth Speaking China and so on. Wang’s career goal is to develop a leading Think Tank in China as well as in the world in the coming years. 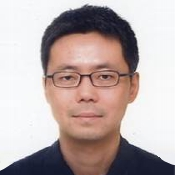 Since 2016 WEI Xing is deputy editor-in-chief and co-founder of Pear Video (https://stringer.pearvideo.com/), which is now China’s leading news video platform. In 2015 he founded Sixth Tone (www.sixthtone.com), a digital platform covering contemporary China, and worked as editor-in-chef. From 2014 to 2015 he was director of the international news department at the Oriental Morning Post (www.dfdaily.com), a leading daily newspaper based in Shanghai, China. He joined the Oriental Morning Post in 2007, and he created the department’s structure, decided the priority reporting areas, and drafted the keynotes of editorials. In the past few years, he has led his team in reporting on much special coverage, such as the Libyan crisis and Arab Spring, the democratization of Myanmar, the Japanese earthquake and nuclear crisis, the leadership transition of North Korea, the elections of France, Russia, America, etc. The Oriental Morning Post has also gained a reputation for its focus on Chinese diplomacy. Before joining the Oriental Morning Post, Wei Xing worked for Youth Daily, a Shanghai-based daily newspaper (2001-2007). He is now a permanent member of the Council of Shanghai Association of International Studies. Jackson Zhang started his career as a sales representative and management trainee at P&G right after his graduation from South China University of Technology in 1990. In the first 3 years after his training period, Jackson Zhang was made responsible for business in various markets, from Shenzhen City, Beijing to the region of Northeast China. He then transferred back to the headquarters for a trade marketing position before he was appointed head of Olay counter business until 1995. In August of 1995, Jackson joined Maybelline company as their national sales manager, to start up the business in China. At the end of 1996, with the merger of Maybelline and L’Oreal group, Jackson Zhang became the sales director of L’Oreal consumer division to launch and expand the L’Oreal Paris brand together with Maybelline before 2001. In 2002, with the evolution of the organization, Jackson was appointed general manager of L’Oreal Paris brand for 7 years. The brand has developed as the leading beauty brand in China and one of the top markets of the L’Oreal group. Then in 2010 Jackson was appointed as general manager of the consumer products division and vice president of L’Oreal China. The division includes L’Oreal Paris, Maybelline and Garnier brands, ranking No. 3 worldwide. L’Oreal Paris is the No.1 beauty brand in China, and Maybelline is the No.1 makeup brand. Jackson Zhang joined A Fu Essential Oils as president in May 2016. Lusong is working as a director in the Legal and Compliance Department of the China Investment Corporation, China’s sovereign wealth fund, which she joined five years ago. 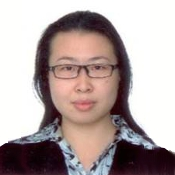 She is in charge of the compliance monitoring over CIC’s overall investments in its worldwide public markets, issuing internal guidelines in accordance with applicable regulatory requirements, reviewing and negotiating legal documents for CIC’s investment projects, taking necessary compliance actions, etc. Previously employed by Hong Kong Exchanges and Clearing Limited, she worked as a manager at the Listing Division and Beijing Representative Office for more than two years handling listing related matters. Lusong finished four years of studies at the University of Hong Kong and obtained a PhD in Law in 2006. Her dissertation entitled “The Regulation of Foreign M&A Involving PRC Listed Companies” was published by Kluwer Law International in 2007. 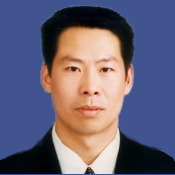 Zhao Hongkai graduated in 1993 from Tianjin University with a Master’s in Civil Engineering. 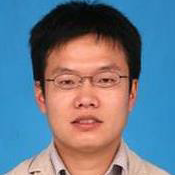 He started his career within the China HuaNengGroup and was responsible for wind energy projects. HuaNeng is one of the best companies in electricity. Meanwhile, Hongkai was also the deputy director of the JingGong Holding Group of the Zhejiang province. He was responsible for investment and the development of new projects. He finally left HuaNeng Group and completely joined the JingGong Holding Group. He helped JingGong to acquire almost all steel structure constructions for the 2008 Olympic Games at the National Stadium of China and for the Beijing Airport Terminal 3. He is interested in European culture thanks to frequent trips to the continent. In 2004, he created ESMOD Beijing. In 2012 he also imported two French institutes, MOD’SPE Paris and EAC, to Beijing and Shanghai, which were in the field of cultural marketing and management.